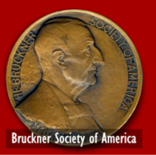 Leon Botstein receives the Bruckner Society Medal of Honor. Leon Botstein, the President of Bard College and Music Director of the American Symphony Orchestra was presented with the Bruckner Society of America's Medal of Honor at a ceremony taking place on February 24th at the Peter Norton Symphony Space in New York City. The presentation was made on stage immediately preceding a concert performance of the Bruckner Symphony No. 8. The concert, part of the American Symphony Orchestra's "Declassifying the Classics" series included a pre-concert talk, a performance of the Symphony No. 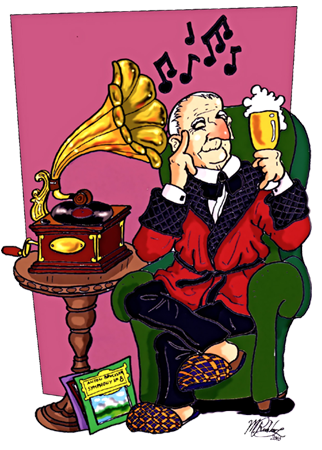 8 in the rarely performed first version of 1887 and a post-concert question and answer period. The award is was given in recognition for Mr. Botstein's exemplary work in furthering the understanding and appreciation of the life and work of Anton Bruckner. Over the past several years, Maestro Botstein has led the American Symphony Orchestra (and other ensembles) in performances of Bruckner's Symphonies 1, 3, 4, 5 and 7. He has also given performances of Bruckner's Mass No. 3 and Bruckner's settings of Psalms 146 and 150. The directors also noted that Mr. Botstein has shared with his audiences a rich and diverse mixture of editions and versions of Bruckner's symphonies that are not often performed. Making the presentation were Society Vice President William Carragan and Secretary John Berky. 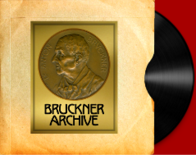 To view the Leon Botstein Bruckner recordings available from the American Symphony Orchestra, click here.